It's a tiny world at Anglesey Model Village! Enter the tiny world of Anglesey Model Village, where life is in scale form. Discover the models in the village, which encompass many landmarks and features of this great island. Learn about Anglesey past and present and observe the quirky daily lives of the village inhabitants. Test your skills of observation in our quiz! Located in a designated Area of Outstanding Natural Beauty, Anglesey Model Village provides a great location to play and relax, where you can also enjoy fantastic views of Snowdonia and the North Wales landscape, whilst sipping a cuppa or having a bite to eat from our new cafe. 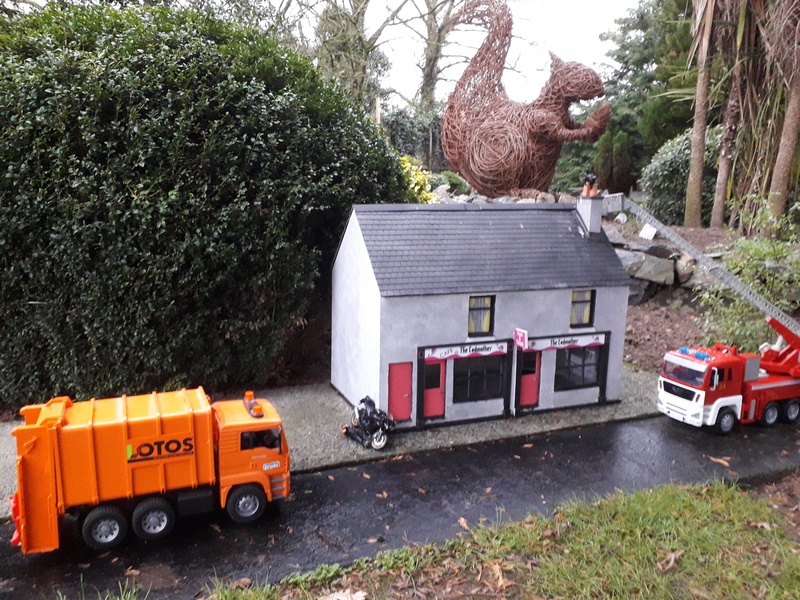 Having closed in 2015 due to the retirement of the previous owners, under new ownership, the model village re-opened again in 2019 following a 16 month refurbishment. But that's not the end! We're now on a 5 year plan to take the model village forward. Follow us on Facebook, Twitter and Instagram to keep up to date on our progress. The model village will take you on a journey through Anglesey, from the impressive castle in Beaumaris to the legendary story of St Dwynwen, the St Valentine of Wales. See both the rural and urban lives of the model villagers. Of course, there's also our model railway and the famous train station at Llanfairpwllgwyngyllgogerychwyrndrobwllllantysiliogogogoch. We're busy implementing a new landscaping and planting scheme which frames the model village displays, so that you can relax and take time to enjoy the gardens and observe the abundance of wildlife that visit the gardens too. Our Play area has been completely overhauled and extended. Try and find your way through our new maze, be a train driver on our self-ride engine, and for the youngest ones, be a tractor driver in our tractor park! "Waited a long time for this wonderful place to reopen and it definitely didn't disappoint. Fabulous little place, friendly helpful staff, well worth a visit. We already can't wait to come back. 10/10."